I have just completed my first crewel embroidery kit! 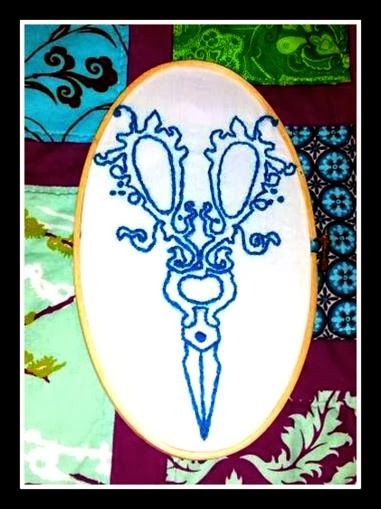 This lovely pair is scissors is done entirely using the couching stitch with a few French knots for added detail. This, along with several other kits will be available soon in my etsy shop...stay tuned!